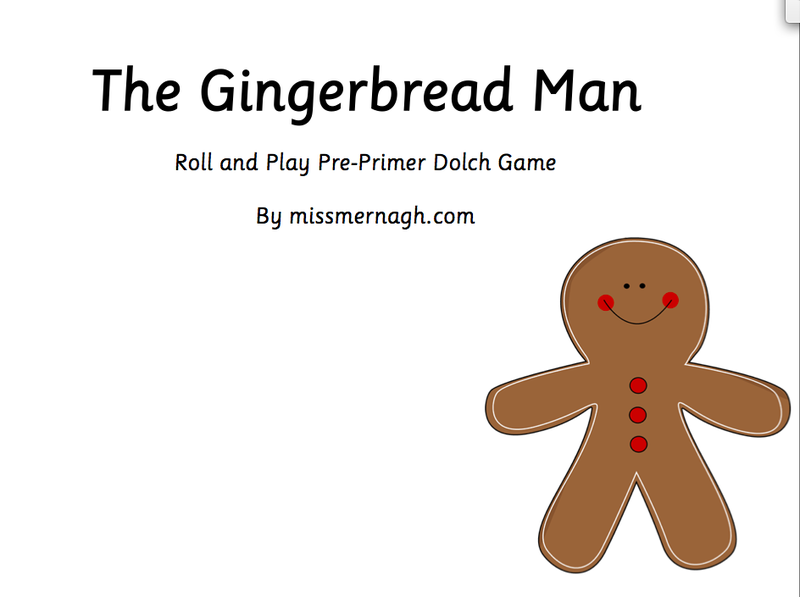 I created the Gingerbread Man game as we were reading it for our story that week. I try to theme teach where possible. I found some fabulous glittery pipe cleaners in the art section of Tesco. The red ones were just perfect for a mouth, after I cut each pipe cleaners into thirds. 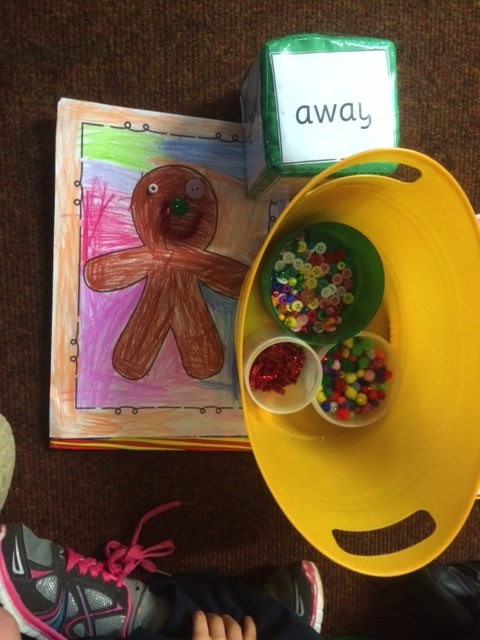 I also used buttons and mini pop-poms from Mr. Price to allow them to “build” their gingerbread man. I slipped 5 words and fox into my Carson-Dellosa Differentiated Instruction Cubes. Regular followers will be acquainted with my long running obsession with my Carson-Dellosa Differentiated Instruction Cubes! 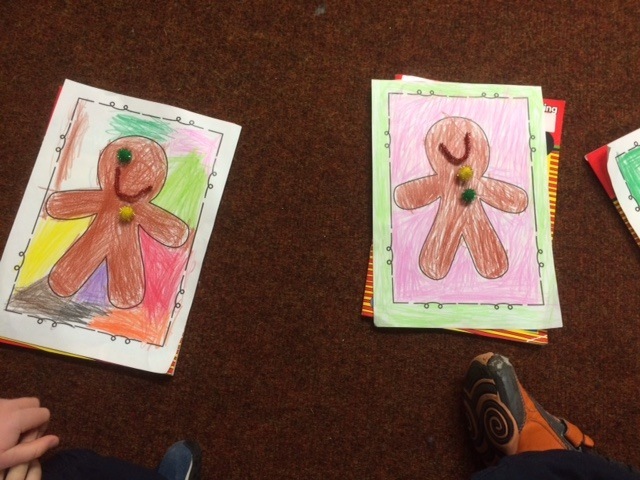 Once they had coloured in their Gingerbread Man, we were all set to play! 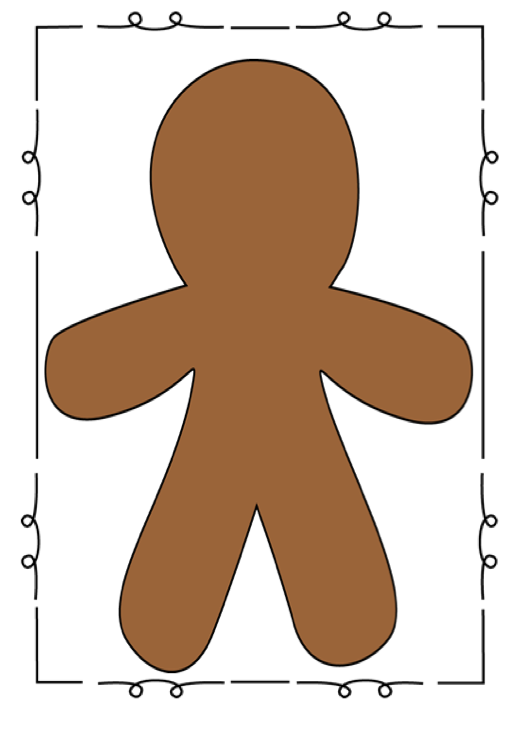 They just roll the dice and read the word The first person to complete his/her Gingerbread Man shouts “Run, run as fast as you can! 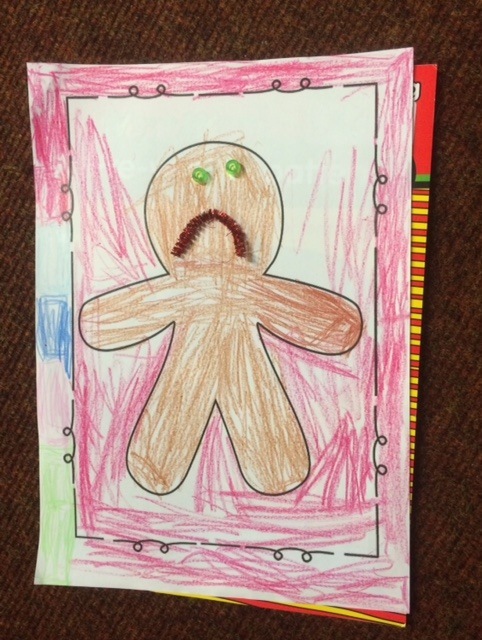 You can’t catch me, I’m the gingerbread man!”. 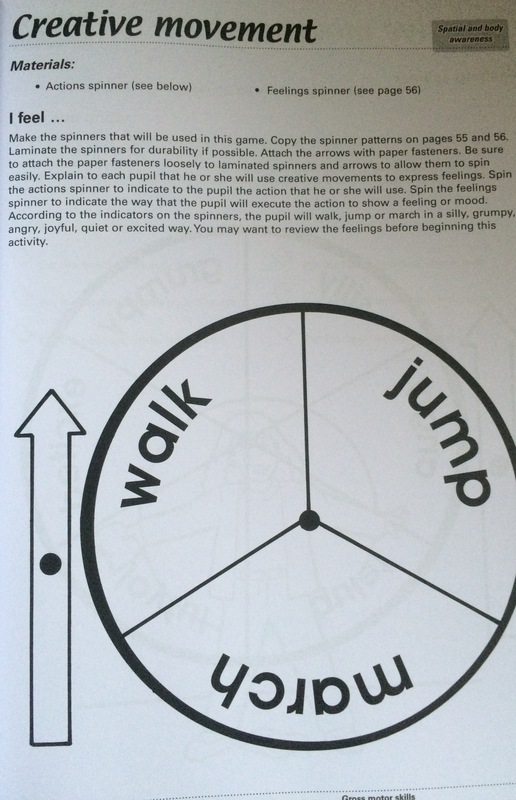 Rolling a fox is effectively “miss a turn” and the game rotates back the following direction. You should hear the groans and moans when the game swaps direction around the circle!!! I create the Dolch Pre-Primer words and the Fox to exactly fit my Carson-Dellosa Differentiated Instruction Cubes. 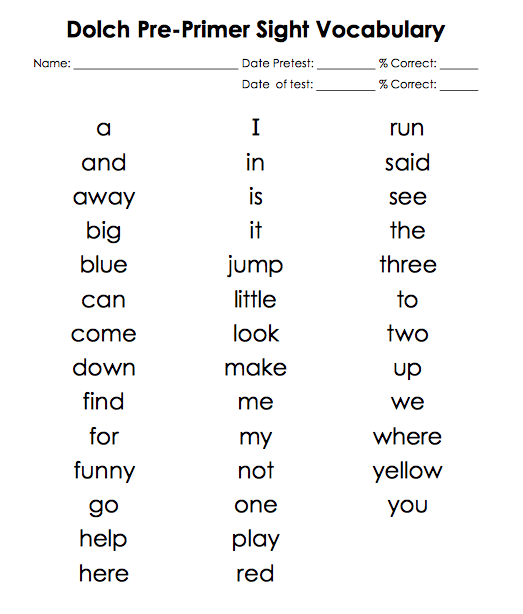 You could print multiple copies of the words, place them face down and have pupils draw a card to play. I would highly recommend purchasing the cubes if you are a classroom teacher! Here are some photos of the game being played last week I particularly like to one with the sad face. Clever, no?! 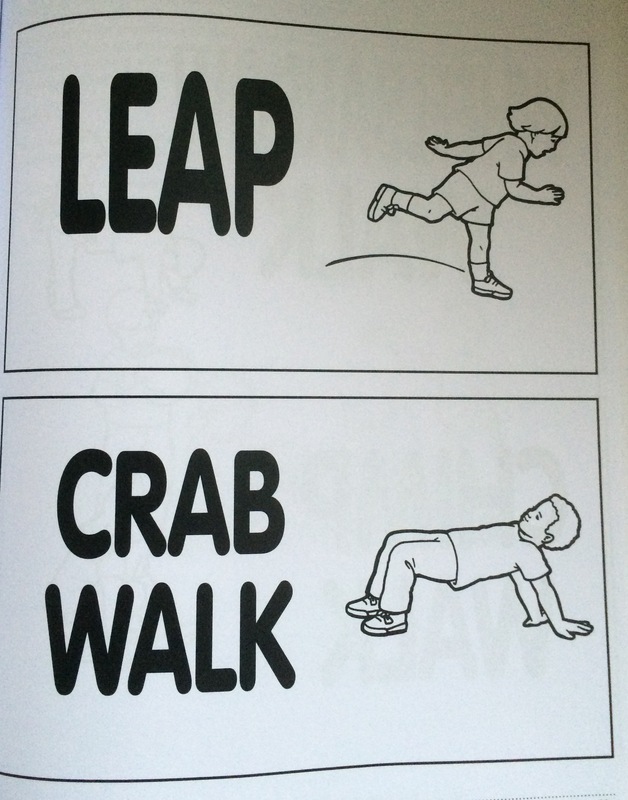 I like to spend a lot of time at the beginning of the year working on fine motor skills and hand-eye coordination. I feel that it is always time well spent. It can be tempting to jump into handwriting as it takes and age to teach all 26 letters of the alphabet not to mention the trauma of writing words and sentences! Oh man, it can be hard, hard work!!! 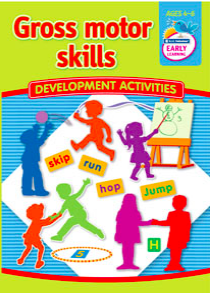 I was really excited when Prim-Ed gave me one of their Cutting Skills books to road test. You can see that I used Stage 4. 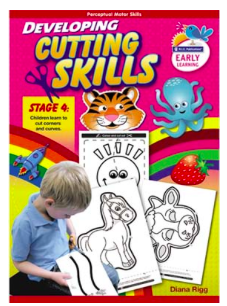 I already had an ancient cutting skills book from Prim-Ed, an oldie but a goodie, which is out of print. 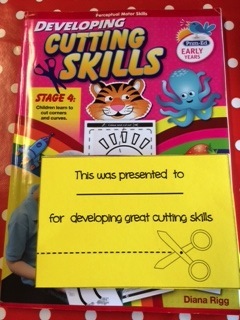 I have to say that I really liked this cutting skills book, as did my pupils. It has lots of challenges that are introduced in a really gradual way. 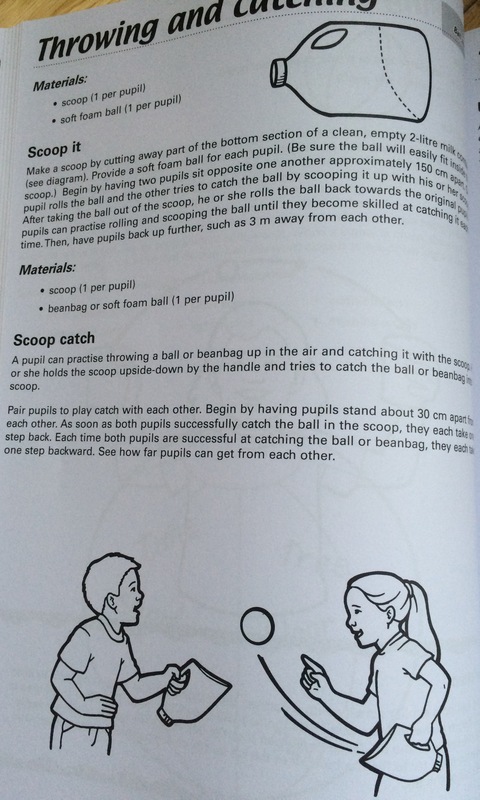 This allows children to move on in very small increments. I really, really like this! I love that this Developing Cutting Skills book covers just corners and curves. Most, but not all, of my pupils were already able to cut along straight lines. Some were actually completely unable to use a scissors which is another issue entirely. 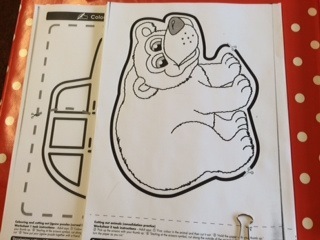 There is a great assortment of worksheets to choose from. There are some really simple sheets that allow you to just cut along a curved line and even indicate where you should place your fingers when holding the sheet. Then there are more that involve pupils cutting out large animals and masks. These were a big hit as we had explored Dear Zoo in literacy. 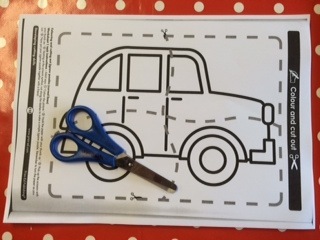 My kids loved colouring and cutting out their Zoo Animals! I swear that my classroom sounded like a Zoo at times with all of the animal sound effects that accompanied their cutting 😉 Some of these sheets have tricky nooks and crannies to cut out. It is interesting to see who could potentially grow up to be a brain surgeon, cutting with great care and precision, and who can “hack” things to bits. Couldn’t come up with a career path to turn this hacking skill into a positive. Any ideas? Leave a comment below!!! 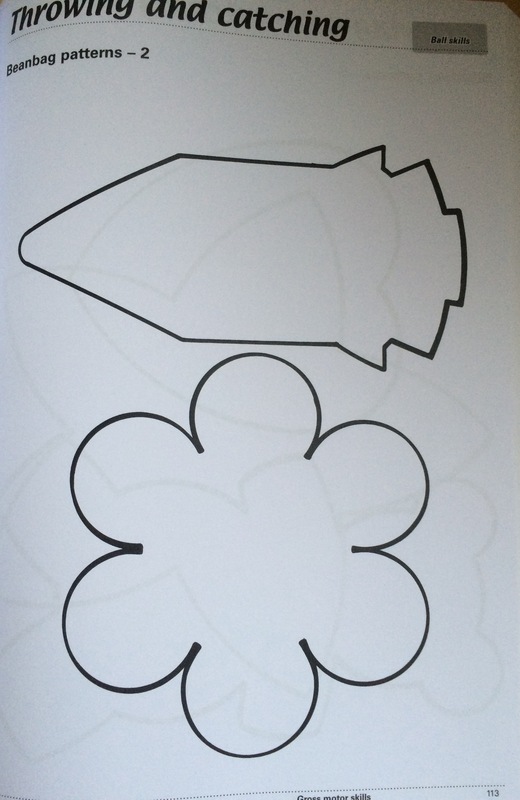 The “jigsaw” format ones are easier to cut out and come earlier in the book. Some of my kids found pasting them back together to be a much, much tricker process. They are learning to take time to lay the pieces out in the correct order and glue them down one piece at a time. It seems that making jigsaws might be a thing of the past. With each passing year I see more children challenged by them. 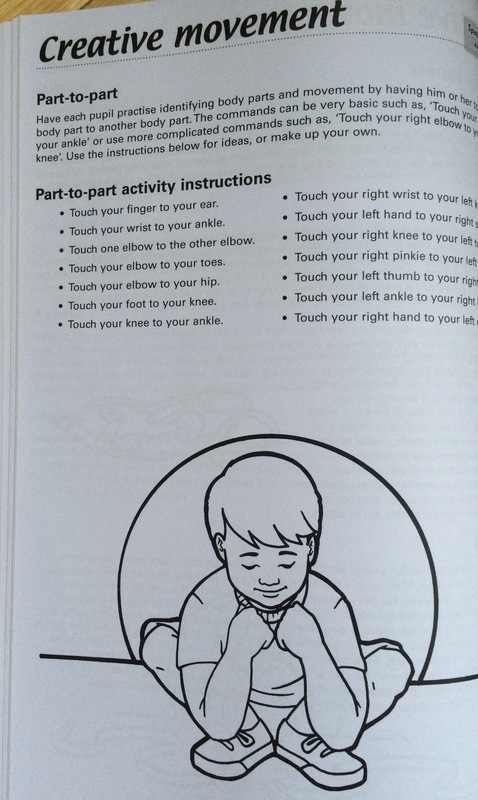 Shame, they are so important for fine motor control and visual discrimination skills. I am so, so proud of my kiddos emerging skills that I have created this fun certificate. I will be presenting them to my class later this week. I am hoping that it will provide an incentive to some to slow down and stop attacking their page with the scissors, lol! I know that they are actually more skilful than it can first appear. When I sit beside them and remind them to cut slowly using “small bites” of the scissors their cutting skills blow me away. Turn around and count to 3 and it’s Edward Scissorshands! I am really happy with my Developing Cutting Skills Book. Well done Prim-Ed. It will be a well used teacher resource for years to come! 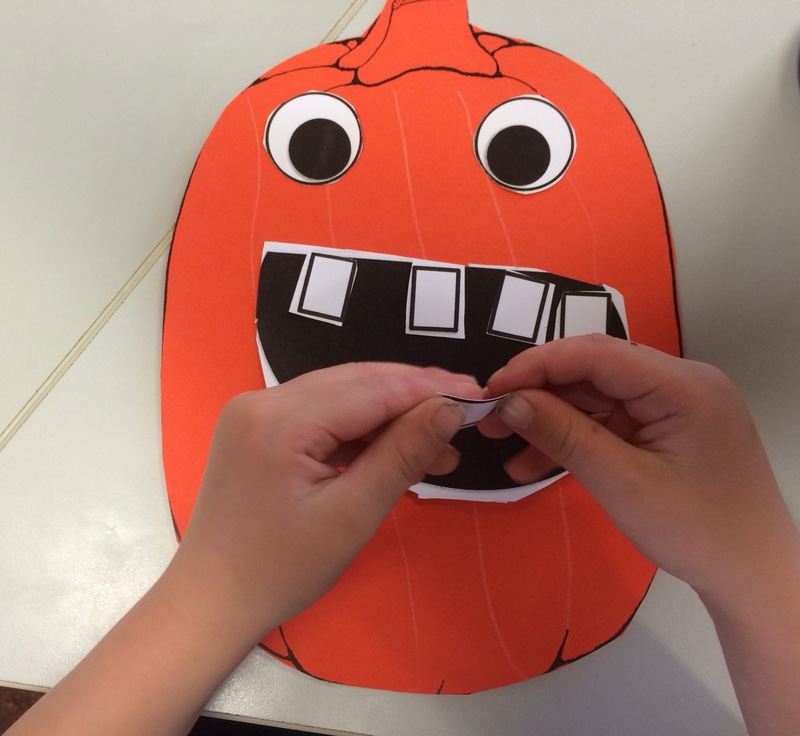 If you have looked at the photos of our Pumpkins you will see just how skilled my kiddos have become at cutting. I am one proud Teacher! 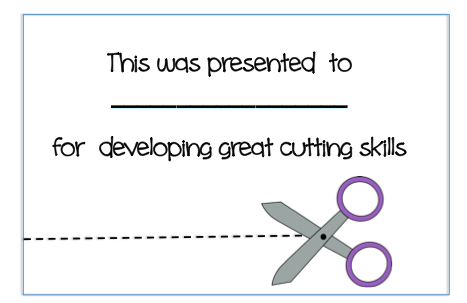 If you would like to download a copy of my Cutting Skills Certificate please click here. It is available in both black and white and in colour. I have to say that Autumn is probably my favourite season! I just love the colours, the flavours and the crisp mornings. 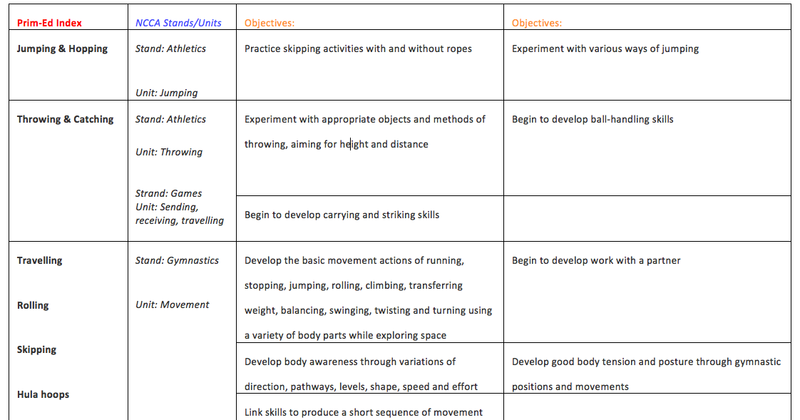 It is allows me to do lots and lots of fun thematic teaching too! 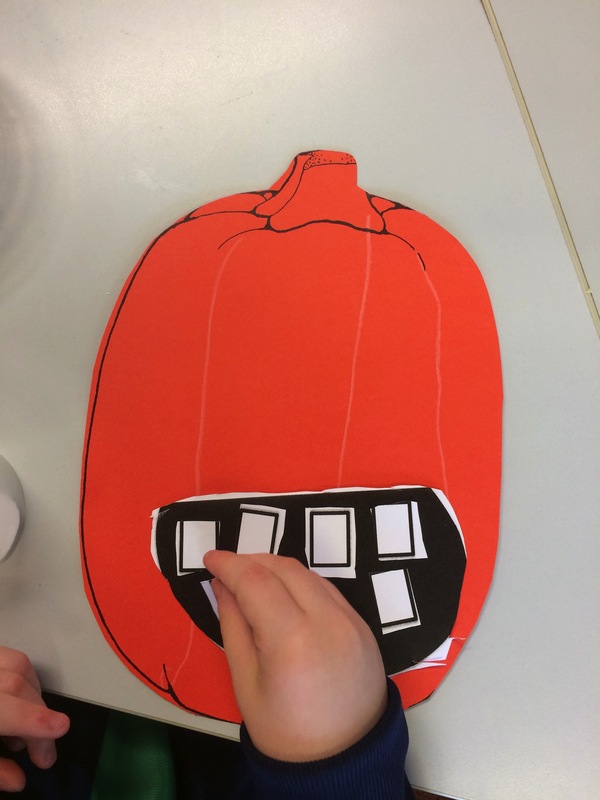 My class are fast becoming experts on all thing relating to apples and pumpkins. 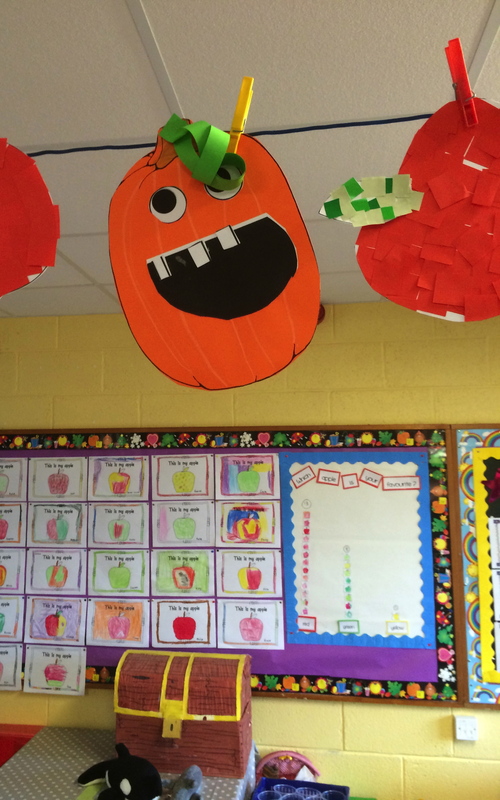 I posted a photo on Facebook the other day of some Pumpkin Art that I had completed with my class. It got lots of favourable comments and some requests for a copy. As promised, here it is in time for the next school week. Click here for a link to the Pumpkin Colouring Page. Click here for the facial features.